Global sports master | Official Completion of the First Batch of the Global Master's Programme. Official Completion of the First Batch of the Global Master’s Programme. 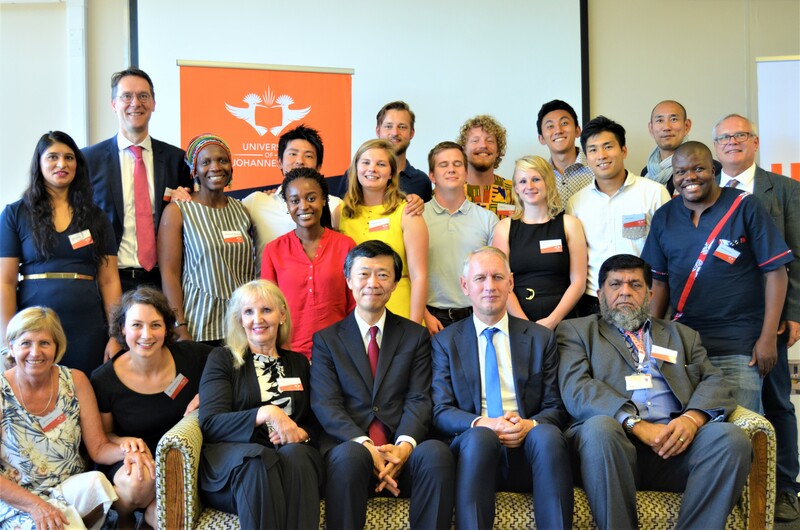 On March 20th, our 10 students from three Universities: University of Johannesburg, University of Tsukuba and Utrecht University have officially completed their three parts of the Global Master’s Programme! The students had their final presentation at the University of Johannesburg where they gave an overview of their learning experience. The final event was attended by the Embassy of Japan in South Africaby H.E. Norio Maruyama and the Kingdom of the Netherlands in South Africa by H.E. Han Peters alongside the University’s Vice Dean, Professor Shahed Nalla and Deputy Vice-Chancellor, Professor Angina Parekh. The students will now return to their home Universities to complete their Master’s Program accordingly. We wish the best of their remaining semesters and future endeavors!